Shown in Australia as a tele-feature. Released theatrically in America as “MAGEE AND THE LADY”. LP(t) (OP)	Infinity. L-37530. 1980. 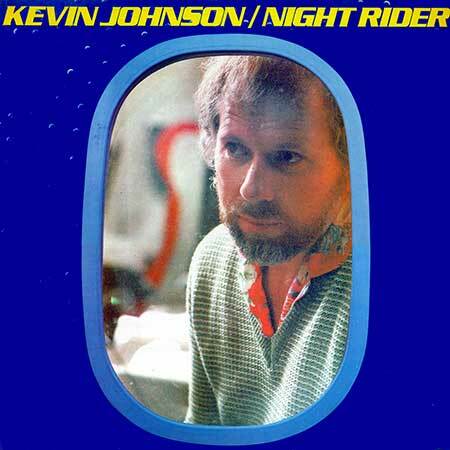 “NIGHT RIDER - KEVIN JOHNSON”. Producer: Kevin Johnson. Musical Arrangements: Wayne Findlay and Kevin Johnson. Orchestration and Musical Direction: Wayne Findlay. Mixing Engineer: Mark Moffatt. Recording Engineers: Mark Moffatt, Csaba Petocz, Joe Raine, Richard Batchens, Paul Ibbotson, Col Freeman, Bruce Brown, Glen Phimister, Col Abrahams. Recorded at Festival, Alberts & EMI Studios, Sydney, Australia. S1-Tk2 “The Sense Of It All”. (2:51). (Kevin Johnson). (Festival/Interworld). v: Kevin Johnson. S2-Tk4 “Down Hill Run”. (3:25). (Kevin Johnson). (Festival/Interworld). v: Kevin Johnson.